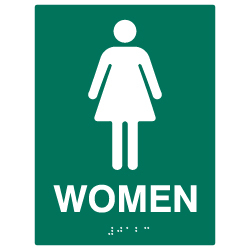 Click the link for a quick overview of ADA Signs Required for Restrooms. Our made-in-America ADA Compliant Restroom Signs are high-quality and professionally manufactured. Our ADA Restroom Signs meet ADA sign regulations and will pass official Title 24 building inspections and Americans With Disabilities Act compliance inspections.